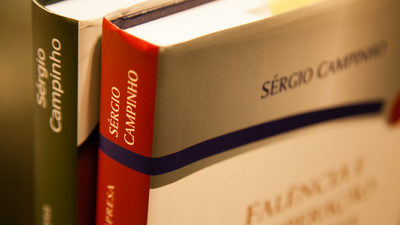 Headed by Professor Sérgio Campinho well known and recognized lawyer with a vast academic experience, CAMPINHO LAW FIRM offers consulting service, qualified and highly efficient solutions for its clients in Commercial and Civil Law through specialized and truly personalized assistance. The involved teams, working either in consultancy service or litigation, are always directly commanded by Professor Sérgio Campinho. Working in a personalized way, without relinquishing the focus, these teams are able to take care of every specific need of each client. Professor Sérgio Campinho is well recognized as a legal expert in all areas of commercial law and he has a huge experience in giving legal opinion and in arbitration proceedings. The law firm is headquartered in Rio de Janeiro and has a branch in Brasília.